Grey Fox exists outside of the standard parameters of space and time. I’m aware that the festival exists in Oak Hill/Durham New York, but no one I speak with has ever heard of those towns before. It’s “Oak Hill, NY” that I put into my GPS each year, but that’s only to remind me which exit off of the Mass Pike to take. Once I’m off of the highway my bluegrass instincts take over and I’m guided only by the faint sounds of forwards-backwards rolls and intuition. I know to take a left off the highway, a right at the light, and then follow that road for at least 30 minutes while keeping a side-eye out for deer. There’s another left eventually, but there’s no sign. It’s pure gut, but it’s never wrong. It’s soon confirmed to be the correct turn once I see the red bard with the fake icicles. Then, magically, I’m at one of the country’s top bluegrass festivals. I’m aware that I’m in a different state. I’m in New York, but Grey Fox overrides any political boundary for one weekend in July. I may wear my Boston Red Sox hat, but I’m not in enemy baseball territory. The “B” stands for bluegrass at Grey Fox. And somehow, the “NY” of the Yankees hat also stands for bluegrass at Grey Fox. Most other festivals I attend have a clear beginning and end. People wait in line in the morning for a good spot, and end the event sitting in the parking lot waiting for their car to finally squeeze out of the bottleneck. I don’t attend every second of Grey Fox. I typically arrive Friday morning and leave Sunday morning. I never see the event end and I never see it begin. When I arrive each day its already going on, and when I leave for bed, at least 2 of the stages are still packed with bands and fans. I cannot visualize this piece of land being used for any other purpose. I’ve never seen it. 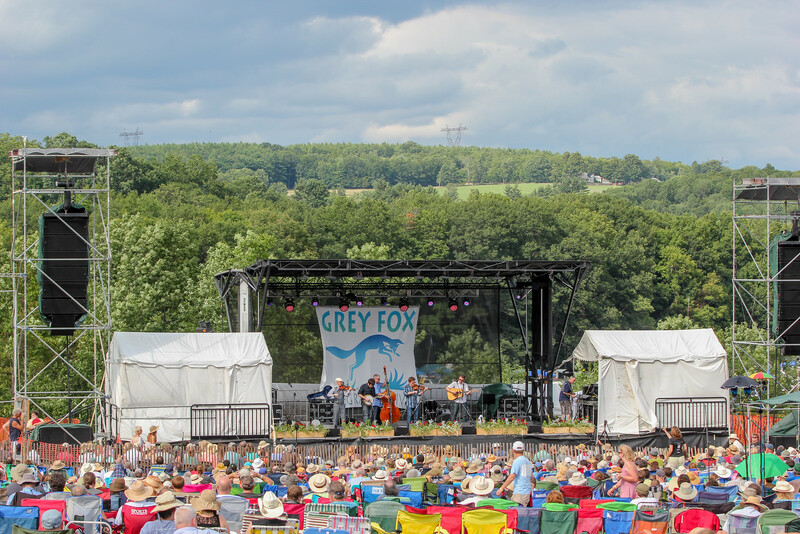 The 2018 Grey Fox festival was my 7th consecutive trip, which may seem like a very short history compared to the story of others. Over those 7 years I have grown as a photographer. While I’ve never worked on the staff photographer’s team, I have taken the job seriously, even if I’m the only consumer of my end product. Looking back over the photos every year I was struck by some similarities. Yes, every year there was a picture of a guy playing a mandolin dressed in a suit playing to an audience in shorts covered in dirt. But it was more specific than that. I saw the same people. I saw the same people doing the same things. I cannot confirm that these people even exist outside the parameters of Grey Fox, but I see them each year. In 2018 (and in one case 2017), I broke the mystery and introduced myself to three separate parties. I told them that I recognized them from the previous years and the type of pictures I’ve come to expect. Nothing especially notable happened as a result, just a shared smile. These reoccurring events is what this entry is about. I took it one step further to detail reoccurring events and details. 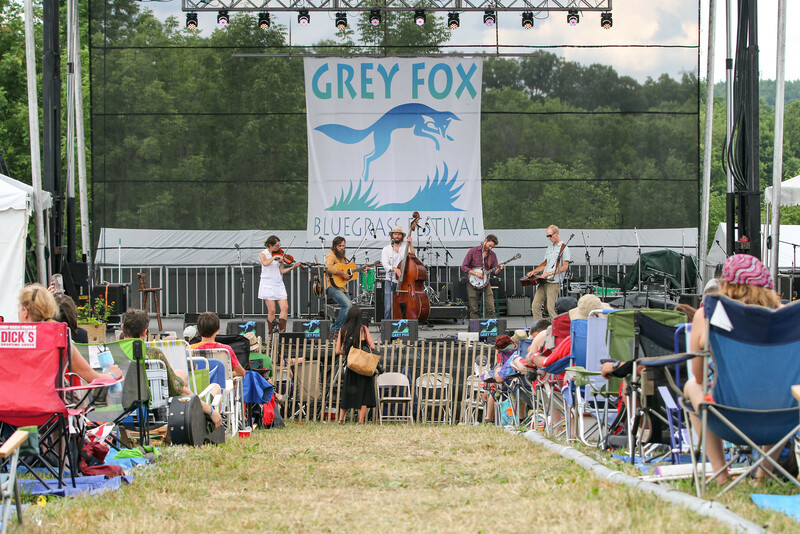 While not necessarily the same people (nor every year), these events characterized the people of Grey Fox, and not bluegrass music in general. It’s a bit of Grey Fox bingo for years to come. The 9 categories are discussed on the consecutive pages, or can be accessed with the menu below.